Twitter for Mac isn’t dead! Twitter just released an update for the long-neglected desktop version of its app, bringing better photo uploads and Retina Display support. The app hasn’t received an update in nearly two years. The compose window has gotten an overhaul, with a nice new photo button that lets you pick a photo to share. The less discoverable older method which allows you to drag a photo into the tweet box still works, and all photos are uploaded to Twitter’s image service. The new app is also now Retina Display ready, with updated @2x graphics that should make it not look like poo on the Retina Macbook Pro, and other high resolution screens that are sure to make an appearance soon enough. This update also brings support for 14 more languages including Dutch, French, German, Indonesian, Italian, Japanese, Korean, Malay, Portuguese, Russian, Simplified Chinese, Spanish, Traditional Chinese, and Turkish. The update is available now and Twitter’s Tech Lead for Twitter for Mac Ben Sandofsky says that there are more improvements to come. Sandofsky also noted today that he will be taking a break from the iOS version to work on Twitter for Mac full time. Twitter for Mac was originally known as Tweetie, which was launched in April of 2009 by developer Loren Brichter. It brought along its own set of UI paradigms that propagated throughout Mac app design culture. It’s unique navigation, for instance, is probably in use on whatever Twitter client you’ve got installed. As Twitter for Mac began its slow slide into an un-updated state other third-party clients like Tweetbot and Osfoora swept in and set up shop as robust alternatives. 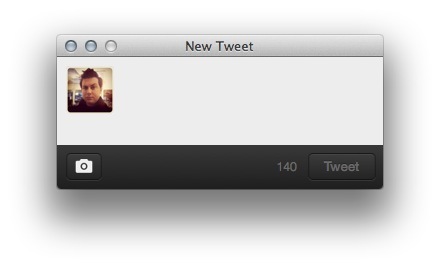 Twitter now maintains two desktop clients for the Mac including TweetDeck and Twitter for Mac. The app has had years to build up a following, so the lack of recent updates has been a sticking point for many Twitter users, especially those with Retina Macbook Pros. Yet to be found on the new app: Twitter’s Cards, Connect and Discover tabs and ads.